Bellissima Scarves are one of the few hijab companies that actually design and manufacture their own scarves, rather than buying wholesale. 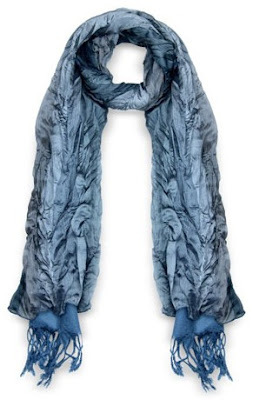 This means the scarves are unique, and as I wrote in one of my previous reviews here, of high quality. I was recently sent the Milano Grey scarf to review. The scarf arrived in its package, wrapped in silver tissue paper, along with a voucher for 15% off, which is included with all orders. Included in the package also was a 50cm square cotton underscarf, which is designed to be folded into a triangle and worn as a bandanna underneath your hijab. These will be on sale soon on the Bellissima website in a variety of colours. 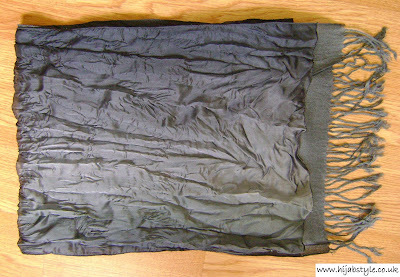 The scarf is very lightweight, and measures 35cm x 180cm. It's designed to be worn both as a neck scarf and a headscarf. Although personally I found it a little too narrow to wear easily as a hijab, since the fabric is totally opaque, you could experiment with styles to make it work. The photo below shows one way to wear the Milano scarf as a hijab. As a neck scarf, although it is light, it's surprisingly warm, without the itchy feeling you sometimes get with knitted scarves. I love the fact that as an elegant piece, it adds to an outfit rather than simply being something to wrap up in. 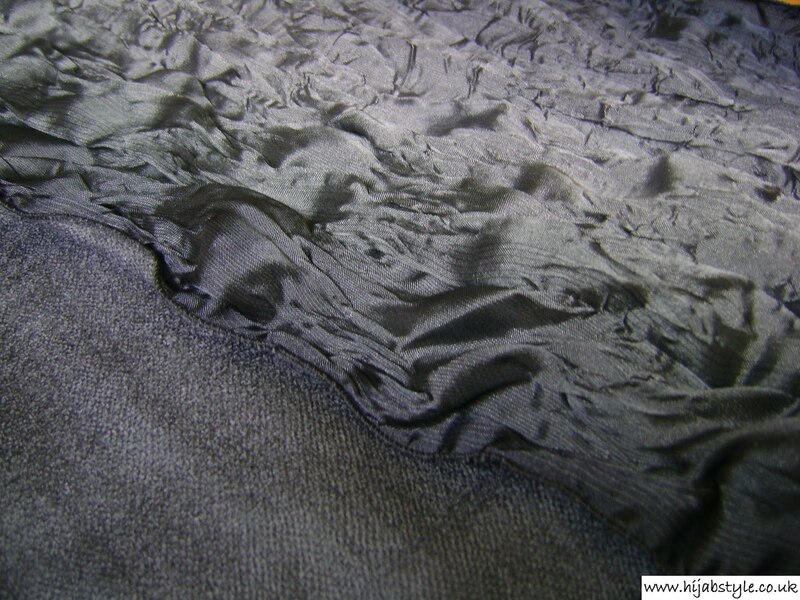 The grey tones are unobtrusive and go well with many different colours. This is a really luxurious scarf in a beautiful colour, and ideal for winter. It would make a great gift too! It's currently on sale for £24, and is available in black and brown too. How much would you pay for a branded new concept hejab? I'm not sure that I understand the difference between a purpose designed hijab and one that isn't. In my experience, most scarves sold in department stores these days are already hijab appropriate. But in response to your question, I have in the past paid up to £50 for a quality scarf to be worn as a hijab. I have no qualms about paying for a quality garment. 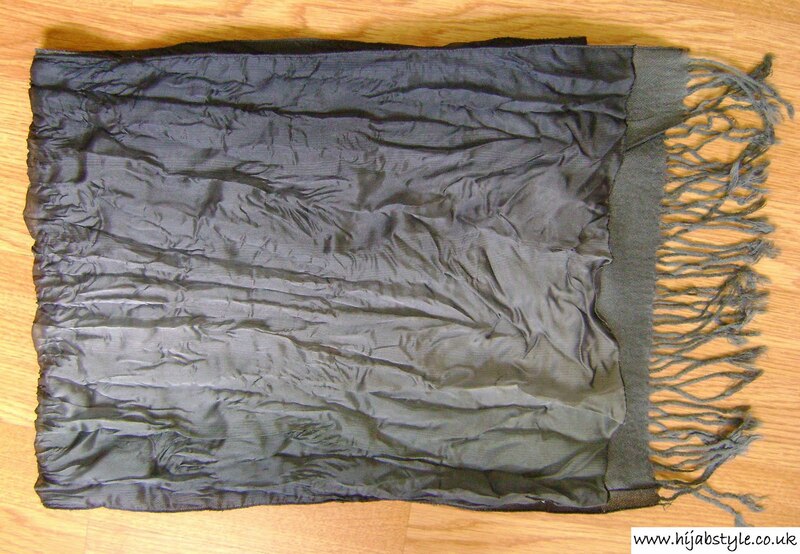 Most hijabs I come across are made of poor quality fabric.